Has anyone used this build, benchmarks? This build can play almost any game at 1080p on high or ultra settings, including Battlefield 1. 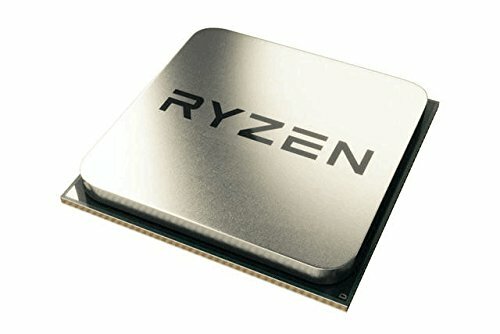 A Ryzen 1400 or 1500x would be a bottleneck in certain CPU intensive games, but either would also be good choices, especially if you overclock. I think a gtx 1070 is the best choice to go with the Ryzen 1600, but the price is still too high because of mining. I have a Ryzen 5 1600X paired with an OEM Nvidia GTX 1060 FE card and it killed 1080P games and kept them above 60 FPS at high settings in BF4. I do however have 2x8GB RAM which may have a noticeable impact compared to a single DIMM because of the Ryzen interconnect architecture. I am thinking about build this configuration and when I could afford the money buy another 8GB RAM (and maybe an SSD), how about that? If you are going to upgrade RAM go 1 DIMM of 8, then a second. Ryzen gets no benefit from mpre than 2 DIMMs. If you're willing to tinker around a little, you can build out a rig for about the same price that includes a 1060 6GB and an SSD. You may sacrifice a little bit of CPU performance, and it requires slower memory, but the gains in overall system speed from the solid state and the extra performance from the 1060 more than make up for it. To be perfectly honest, I don't advise overclocking with a build under the $1,000-$1,200 range. Budget range mobos aren't usually designed with quality MOSFETs and capacitors to support overclocking. There may be some out that perform admirably enough to do Overclocking with, but I would fully research the components used for the power regulation and delivery on a budget board before overclocking. Honestly buying a 128 gigabyte SSD for this build isn't going to be all that hard. Just pick up 6 extra hours of work at McDonalds or mow 2 lawns for 30 dollars an hour and you got yourself an SSD. I have not, but it seems like a really good build, considering the specs, most games should run fine on 1080 medium-high settings. I have never dropped settings below high on games on my R5 1600 and RX 480, given that the GTX 1060 is more powerful it should be at least capable of the same. Thought about going for a R5 1500X with my GTX 1060 last night, but I thought it would bottleneck the GPU, probably wouldn’t, but I personally would like to rock a i5, just because it’s more powerful, but has less threads due to the lack of hyper threading. But then there's Zen+/Zen 2 looming as well. It truly is a waiting game. More like wait 4 more days and the Coffee Lake processors are out. I say wait until the end of the month through Black Friday and there should be some pretty sweet bundle deals, especially for folks that live close to a MicroCenter. Great job on the build. I got a 1080ti from a friend and was thinking of using it in your build. Would I need a cooler to make sure it doesn't overheat? If all parts were kept identical to this build any GTX 1080Ti should perform just fine in this system. There is no need to a change in the Stock CPU cooler, but it can make a difference in acoustics. Some recommended CPU coolers would be a Scythe Kabuto 3 or Arctic Freezer 33 variations. I would reccomend a Cryorig H5 or H7. You definitely need a better cooler if you are going to overclock. Also good CPU cooler options! the H7 Quad Lumi is pretty neat-o I have to admit. How is a 212 Evo bad if it can handle a 2700K at 4.7 GHz stable and 5.24 (unstable) at idle? He's probably just being a contrarian for its own sake. You should want a cooler anyway, since you have an overclock-able motherboard and super quick ram in this build you can push more performance from that chip, not mentioning how much more quiet and efficient itll be. Its worth the like £30 youd spend on a cooler just for the creature comforts alone. Considering a Micro ATX Case how are the thermals for the build? Depends on the case more than the size. My ITX Corsair 250d had admirable thermal cooling compared to a Deepcool Tesseract. They were near identical. The fans you use are also important. 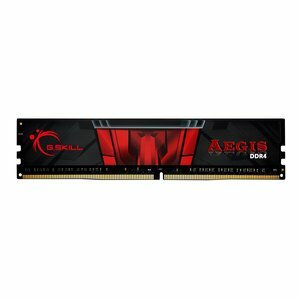 Looking to upgrade and get the 2x8gb RAM instead of 2x4gb (for PUBG & BF1). Suggestions for a good replacement that will perform similarly to the recommended RAM, if not better? will this be able to stream games like h1z1 at a high quality? and will it be ok for editing? You should be able to stream with. I can use Relive to capture video constantly in BF1 on max settings @ 1080 with zero issue. Youll be able to edit just fine. I'd argue that 16gb of ram would be ideal though over the 8 in this build. thanks for the reply. what fps are you getting when you recording bf1? Sorry for the late reply. I have it capped at 60fps because of my monitor but I literally do not drop beneath that ever. Never experience any FPS drops at all in BF1, Rainbow 6, etc with Relive going. I would recommend a SSD regardless and maybe a single slot 16GB dimm stick. Total cost would be up 100$ The ABM350M supports a M2 slot so no-brainer. If storage is an issue you could always add some storage device from somewhere else (laptops, etc) If you still have a problem go to your local dumpplace ask the local guy if any pc are brought in this week ((((for some reason this will not work on females, only males)))) open them up grab a few HDD's and you are set. Test them when you get home. Why would you not include a cpu cooler? There is no need to replace the stock cooler. I overclocked and was going for looks as well. I wouldn't have replaced the stock cooler otherwise. Will I have to add Windows 10 to this parts list? 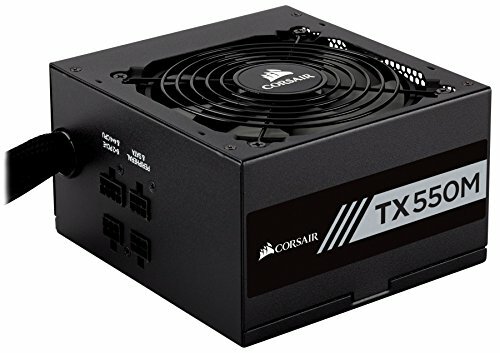 Would a 500W Power Supply be enough for this build? Yes, but for the extra $10.00 I would get a 600w or 650w. Never mind found the problem. Didn't press on the ram hard enough so it didn't click in, rookie mistake. Would this run GTA V with a variety of mods? The Ryzen 1600X series is a waste of money. It doesn't come with a stock cooler which knocks about 20-25 dollars off of the value of the X series. In the end, the only thing the X has going for it has better stock overclock XFR. Manual overclock peak is about the same with all other things equal. I appreciate the advice. Currently looking to build a realiable computer that can keep up with GTA V online with mods and stuff. Very green when it comes to tech stuff.. Kinda been looking at other peoples builds to get an idea. Dont wanna really spend more than $1,500 on my first build, but if its absolutely necessary i can. The mods are likely going to be more CPU intensive than GPU intensive. With the 1600 and the 1060 you would most likely be above 60 fps at about all point in time. I think you can go GTA V 1080p, 60 fps, cverclocking the CPU, without a problem. Also Ryzen is an easy overclocking CPU. I'm new to PC and was wondering if I could use a bigger tower than the mini so I could use upgrades later? if so what would be a decent priced case? Yes. Fractal Design Focus ATX case variations are all good options in their price bracket IMHO. The 850 EVO series is a hell of a lot slower than the 960 EVO series. I think I would either save up the scratch for the difference or lower the amount of storage on the SSD you want. The problem with that is, the 960 EVO series at just 250GB is already $120, while I can get a 850 EVO 500GB for only $139.99, a few dollars more. That's hell of a lot more worth it in my opinion, because I'm getting 2x the storage for only about $20 more. Not to mention, the difference between the 960 EVO and 850 EVO series is not nearly as drastic as you would think in real-world use. I'd have to agree. NVMe drives are really only worth it if you're doing something data-intensive like 4K streaming or video editing, or if you have to copy files around a lot. Thanks for the help. I just ordered this with a few changes. 16GB RAM and a GTX 1070. It was a big help. Thanks again. What RAM did you go with? A little bit lower of a frequency compared to the build suggestions. What effects would that have, if any? It will have somewhat noticeable of an effect. Ryzen scales very well with high frequency RAM. I would not suggest using 2400. And what effect would that be? Also pay attention to the ram timings and if you can get modules based on Samsung "B" Die chips that would be best. One thing is confusing me. I also want 16GB, but for the life of me why don't you simply buy two of the 1x8GB modules instead of one? The MOBO has 2 slots. Two would be better due to utilization of dual channels. People only tend to go with one when they plan on upgrading in the future. what 1070 did you get? How would this do on PUBG? PUBG likes to have cores and this build has plenty. Parametric filters selected a PNY. Nothing inherently wrong with a PNY. My PNY 1060 6GB performs just as well as my buddies Gigabyte Windforce 1060 6GB. Anyone had any issues using the DDR-3000hz RAM? Built pretty much this build but it boots and then keeps rebooting. Don't have any other RAM lying around to test if it is the RAM causing the problems. So I was also thinking changing the motherboard for this: https://pcpartpicker.com/product/ZHyxFT/asus-strix-b350-f-gaming-atx-am4-motherboard-strix-b350-f-gaming And the RAM for this: https://pcpartpicker.com/product/ntYWGX/corsair-vengeance-rgb-16gb-2-x-8gb-ddr4-3000-memory-cmr16gx4m2c3000c15 Would it have any problem? If you are concerned about a problem, make the same build in System Build (Where you build your own system), and replace the motherboard for the motherboard that you want. Scroll down and if there is a problem it should show you a notice. Can i stream 720p60fps csgo with this build? I have a extra Samsung 950pro, does this Motherboard have M.2 port? Also does it have built-in bluetooth? Seems like a really good budget build, I feel that you could do a little better on the CPU if you have more money or just in general, but really good build for a $800 budget. Thanks for sharing this. Any suggestions on what monitors would pair well? This looks like a good cheap build but if there is 1 thing to upgrade it's the storage. get a ssd at if all possible. I am pretty new to PC gaming and was wondering how well this will work as an initial buy to play mostly PUBG and some occasional streaming/video editing (obviously not all at the same time.) Will this leave me room to upgrade in the future if need be? Is there any difference in replacing this psu with a 750W PSU? Is bigger = better or will it not have an effect, or a negative effect on the build? That wouldn't affect performance. 750W is way more than necessary for this build, but having more than what's needed isn't detrimental. It's a waste of money unless you plan on having a build in the future that's really power hungry. Yeah thats what I thought, I happen to have one laying around from a past build though. it seems like a really good build, considering the specs, most games should run fine on 1080 medium-high settings. Hey, why have you not added a CPU cooler? The stock cooler works for this build. Can this build play Planet Coaster? If so, how well? how do you connect to internet with this build? This build has a Ethernet port so you'd need to connect it directly to the router. I believe it would be quite simple to add a wireless adapter to it, just costs a little more. Is this a good build for an average gamer, and is there anything you could switch out to improve this build? More RAM (16GB total) if you're looking to play certain games or want to multitask. Apparently BF1 and PUBG are some examples that 16GB would be helpful to have. Other then that, I'm personally reducing the HDD size and I'm going to combine that with an SSD for the OS. Will just help with overall computer boot times and such, might be worth looking in to. I have a genuine question that has bugged me for some time. Why are the staff's 'Parametric' filters almost always about Nvidia GPUs? In the last year it has been shown by multiple reviewers that RX 580 is better than GTX 1060 and RX 570 is better than GTX 1050 Ti. R9 Fury/Fury X/Nano has been pretty decent too in the QHD resolution DX12 segment. Also, in the latest reviews Vega 64 is equal to GTX 1080 and Vega 56 is equal to GTX 1070 in performance. About the mining - GTX 1070 is also heavily used in cryptocurrency mining, but it is featured quite often nevertheless. We use the most budget appropriate GPUs for the build. Firstly if I were to build this PC, would it last me at least a couple of yrs before upgrading components? and lastly, is it compatible with a WiFi card? I'm new to the whole PC building scene, however I've been wanting to build a good gaming PC for Star Citizen. Would this run it at 60FPS on high settings??? New PC builder here. Which of these parts would be easy to substitute for whatever equivalent is available at Best Buy? I have $200 in credit there, but they do not seem to have any of these exact parts available. Can i replace the RAM with 16GB patriot and the hard drive to SSD with no problem ? I believe so. I plan on doing it w/ my build. New to building PC's and I was wondering what kind of liquid cooler would go good with this. If possible I wouldn't the price to go over $900. Thanks. Would there be enough room in this build for an SSD and a HDD? Hi I was just curious to know if anyone can tell me if this build will have any trouble running Destiny 2 at about 30+ fps? Not sure if I should do this build or go up a bit and get the more expensive build. Thanks! Destiny 2 plays at 60+ fps on the highest settings at 1080p. Anything better than this build is generally used for 1440p. Quick question for the ones who know, I play Runescape oldschool and would like to play Player's Unkown Battleground, would this be decent? Alright so I'm a newbie when comes to building PC's and after seeing this build I ordered all the part s except for the ram( went with Corsair - Vengeance RGB 16GB (2 x 8GB) DDR4-3000 Memory). After putting all the parts together I found out that my pc would just keep restarting over and over. I'm assuming it's a RAM issue any help would be appreciated. Almost forgot to mention couldn't access BIOS at all. You built a PC with no RAM? Oh, just re read what I wrote and I meant to say is that I went with corsair vengeance instead of the one mentioned in the build. Sorry for the confusion. What does the machine do? Does it beep or anything, and when you say restarting over and over what do you see? Your memory is compatible, may try removing and re-seating....if that doesn't work it sounds possibly a motherboard issue if no bios, but depends on what you see on startup...if logo for mother board could be connection to having no OS....or hard drive. I didn't get any beeps when I powered on the pc, all I see is the BenQ Logo flash on my screen for a moment before it goes blue with "no cables connected". The LED lights should've lit up in my ram but it hasn't yet. I would like to build a rig capable of gaming, video editing, streaming, photoshop. Would this build be good enough? I'm new to PC building and can admit I have no clue. Would $1000 be enough to build a good one? I was wonder. Can it do play minceraft good with no lagg. it do becuaz it no good hav lag and no run fast fr surver. ned fur frends. Sorry for the silly question, but if I was to build this would I need extra fans for the case and cords. I’m a little new to computer building. Need some advice: this is my first build. I don't stream or do any graphics processing. This would just be for RPGs, so I want to max out graphics but not much else. Would I need any modifications to this build for 4K gaming? Still trying to keep it under $800. Thanks! For 4k gaming your budget is way too small.. you would need something like a gtx 1080. But for 1080p or 1440p this build will do just fine. Does anyone mind checking this build I have. All feedback, recommendations and suggestions are greatly appreciated. The idea for the rig is gaming/streaming. In advanced thank you to everyone here that makes the pc building community so great! SSDs are expensive.. and just because this system doesnt have one doesnt mean you cant put one in the list yourself.. stop whining around. can this run games medium settings @ 1080p 144hz? hey,I'm thinking of buying getting this build. What kind of software and os would you recommend a beginner like me getting. Could I use a 430w power supply for this build? Just curious because it says estimated wattage at 272w. I realize you still need to power fans and stuff but it seems like the 550w would be a bit overkill. I would go with a 550W it gives you room to upgrade later on. I get that but I have a 430w laying around right now from my old computer. I'm gonna say this is just an average build. MSI GTX 1060 6GB, good future proofing, great brand with dual fans heatsink. Ryzen 5 1600, good future proofing, great for workstations and productivity. Seasonic 550W Gold Power Supply, good brand, good efficiency and reliability. ASRock AB350M motherboard, this is just bad, little to no overclocking ability, cheap components and high doubts on reliability. Seagate Barracuda 2TB, this is just offensive, non hybrid mechanical hard drive in 2017, just wow. G. Skill Ripjaws 4 DDR4-2800, slow memory (AM4 loves fast memory), high timing and low bandwidth. Fractal Design Focus G, scrap metal case, it'll hold up the system but that's about it. No exhaust fans for the case were added to this build. Pre-applied thermal paste with stock AMD Spire Cooler, after market thermal paste or cooler recommended. Peripherals and OS not included is very understandable. Horrible choice of main hard drive on a system built around future proofing and multitasking, regardless if it's budget. Where is your suggested alternative "modest" build then? True, but it will really limit the space you have considering you have a Micro ATX Case. I can't put a disk drive in, big woop. The motherboard is fine. It allows overclocking, and the goal of this build is to be modest. That's why the other Ryzen 1600 build has a much better one.